Each plane is available with two different engine configurations (P&W and RR). Accurate flight model, as close as it gets to real performance. Tested by real pilots. Dynamic and customizable center of gravity that depends on actual cargo, passenger placement and burning fuel in flight. Custom designed Flight Management Computer, integrated with other plane systems. Terminal procedures from updatable database. Realistic inertial and radio position updating, you can see the individual inaccuracies of those systems. Fail operational and fail passive autoland with mode degradations based on system failures. Load company routes generated by Professional Flight Planner X (or other compatible programs) directly into the FMC. Most of the options that the real 757 fleet has are included. Many additional options for sounds, cockpit interaction, effects etc. Full electronic interactive checklists and procedures with automatic action detection. Automatic mode helper that performs all the actions for you. You just CHECK the items. An option to have a visual aid on what and when to do in procedures. Electrical system with all AC and DC busses modelled - see which system depends on which bus. Persistent failure and maintenance system - Aircraft wear and misuse will carry over to your next flight. Weather radar that works like the real thing. Including tilt and gain functions, ground clutter, turbulence detection and windshear prediction. Glossy exterior that reflects the outside. Two sound pack by BSS for both engines. An ipad-like menu popping-up from the cockpit. Ability to customize the plane with winglets, special effects level, wingflex level and set other options to be saved or default. Working push-back truck - Fully controllable with your joystick. About 50 additional liveries available separately. !! !THIS UPDATE IS FOR XP11 ONLY. WILL BRAKE XP10 PLANE!!! - THIS UPDATE IS FOR XP11 ONLY! WILL BRAKE XP10 PLANE! - added VR (oculus and vive) compatibility with two mode, native and custom. Please see manual! - made some things for better integration with the VoiceCommander profiles by sloboda. 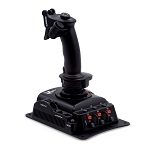 757 v2 is a brand new model: New 3d, New systems, New interface, etc .